We received some lovely feedback about Dr. Anna Scaife's talk on LOFAR from the Winchester Science Festival which I wanted to share. 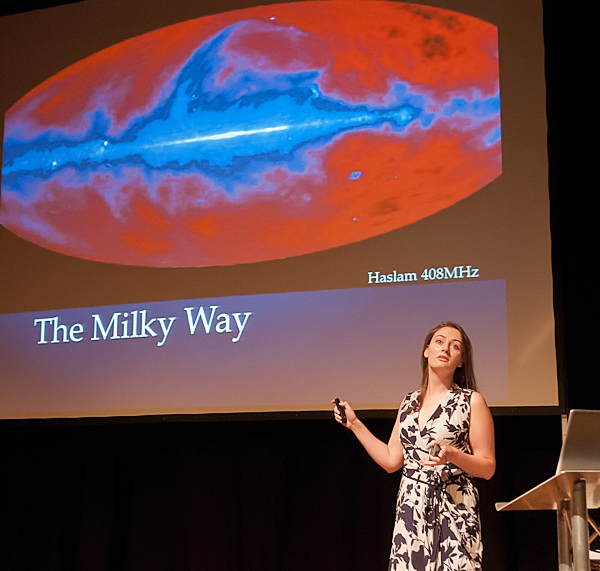 "I’d like to say a huge thank you to Dr. Anna Scaife for her talk about LOFAR at the Winchester Science Festival. It was really fantastic !" "The whole weekend was a triumph for the organisers and being able to hear talks from so many scientists about their work was simply joyful." "LOFAR is of particular interest to me  and it was great to have my question about the arrangement of the low band antennas answered with technical detail." 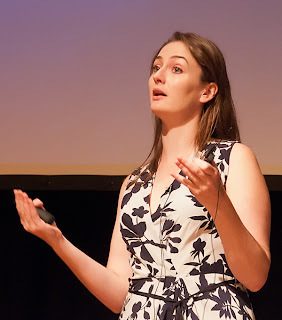 We were also sent these images of Anna in full flow of her talk. Image credits: Dave Hughes, President of the Hampshire Skeptics Society.